A lot of us have had to put our travel plans on hold given the shrinking power of the rand. Happily there are still exciting countries to visit where the rand retains its strength. Whether you love lush rainforests, fast-paced cities, colourful markets or untouched beaches, Travelstart brings you an inspiring array of rand strong destinations where you’ll get the most for your money. Karaoke was invented in the Philippines and not Japan. Expenses: Budget about R700 per day for a dorm bed or single room, local food for lunch and dinner and a local beer and a tricycle ride. Visa: South African passport holders don’t need a visa to visit Manila, or anywhere else in the Philippines, for up to 30 days. Always check that your passport is valid for 6 months after your return date, and that you have 3 blank pages available for entry stamps. Book your ticket to Manila. Thailand has every possible kind of holiday you might be looking for. 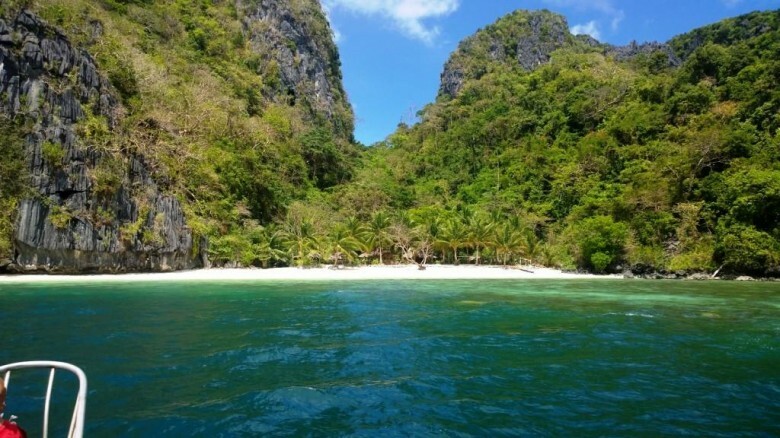 There’s the popular Andaman islands for idyllic blue water, sun and sand, Koh Tao if you’re looking for a diver’s paradise, the temple trail to the east of the country for cultural connoisseurs and of course old-meets new in Krungthep, city of Angels, also known as Bangkok. Red Bull was created in Bangkok by Chaleo Yoovidhya in 1976. He died a very wealthy man. Expenses: Budget about R440 per day for a basic guesthouse room, street food and public transport. Visa: South African passport holders arriving by air don’t need a visa if they are staying for no more than 30 days. You will need an onward plane ticket and sufficient funds for your stay. Tourists staying longer than 30 days but not exceeding 60 days can apply for a tourist visa in SA. Book your flight to Bangkok! This fascinating destination will have you awe-struck especially if you choose to take in the sunrise at Angkor Wat. There’s much more to fascinate you in the bustling city of Phnom Penh and in the untouched islands in the South. 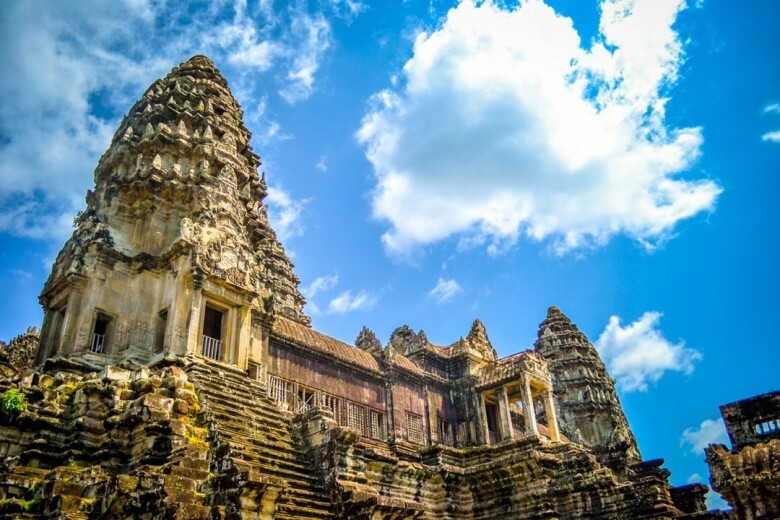 Fun fact: Cambodia is a very youthful country with half of its current population younger than 15 years old. Visa: South African passport holders can obtain a visa on arrival in Cambodia. These are charged at US$30 for a 30-day Tourist Visa, payable in US Dollars only. Be sure not to be ripped off by the border officials. Please verify with the Cambodian Embassy in SA for the latest visa developments when planning your trip. Book your ticket to Siem-Reap. Laos used to be known as the land of a thousand elephants but these days it’s the amazing 4000 islands and the Irrawaddy dolphin scooping up the attention. 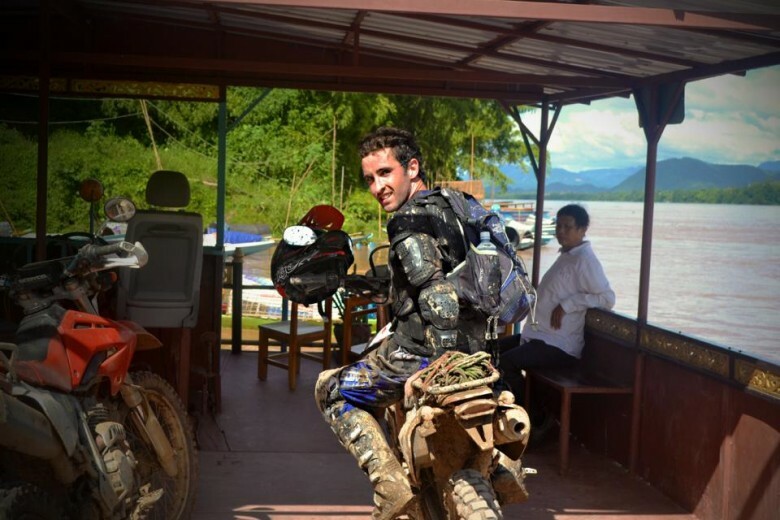 This is the ultimate adventure holiday for cyclists and motorcyclists. Good to know: coffee and condensed milk is a big thing here. Expenses: Budget about R350 per day for a dorm room, street food and transport. Visa: You can pay for a 30-day visa on arrival in Laos. You will need 2 passport-sized photographs and 6 months validity on your passport from date of arrival. Visa costs range between $30-$45. Book your flights to Vientiane or Luang Prabang, Laos. Complex, ever-evolving Vietnam is a blur of tiered green rice paddies, rugged natural beauty and the most delicious street food. Expenses: Budget about R350 per day for budget accommodation, street food and cheap public transport on scooters and buses. Visa: You will need to obtain a visa beforehand in South Africa, please allow at least 5 days for processing. 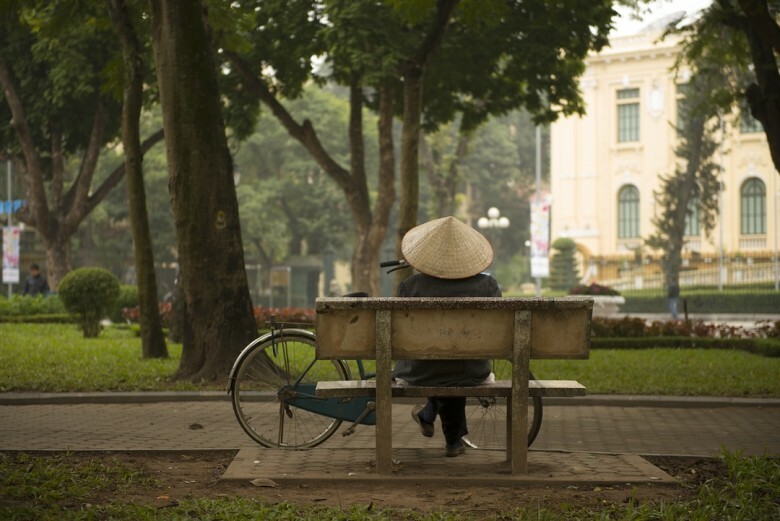 See this guide on how to apply for your visa to Vietnam. Book your flight to Ho Chi Minh City. 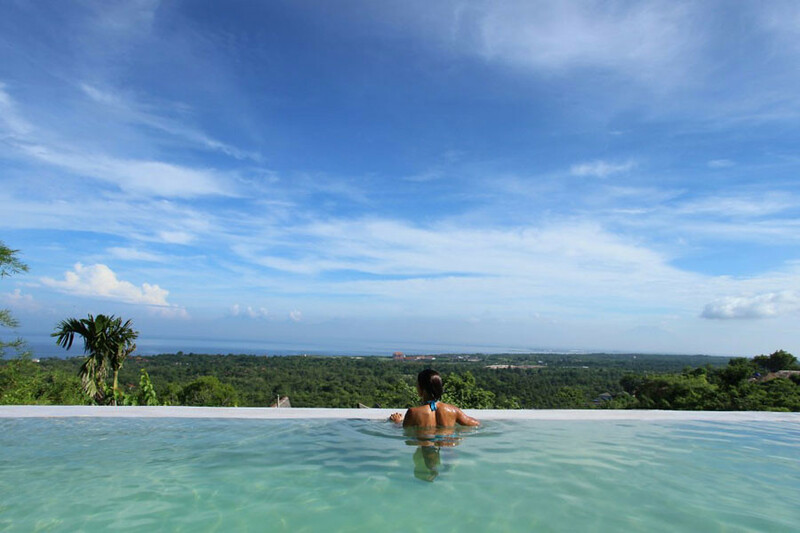 Luscious Bali has volcanos to climb, street food to feast on, waves to surf, monkey sanctuaries to visit and reasonably-priced luxury villas to chill out in, read a book and forget about life’s daily stresses. Expenses: Around R950 for a basic budget day of food, accommodation and transport. Airbnb is a wonderful way to rent an affordable villa for the whole family. Visa: South African visitors are given a free visa on arrival for 30 days. They are available from immigration checking counters at Soekarno-Hatta Airport – Jakarta; Ngurah Rai Airpor- Denpasar; Kuala Namu – Medan; Juanda Airport; Surabaya and Hang Nadim Airport – Batam. Book your flight to Denpasar, Bali today! Raw beauty, mountains, heavenly beaches and rare wildlife make this a nature lover’s paradise. Fun fact: The Sri Lankan flag features a golden lion, surrounded by four golden leaves at four corners which represent Buddhism, while the green and orange stripes represent Islam and Hinduism. Expenses: Budget about R800 a day for a simple guesthouse, delicious local street food and local transport. Visa: South African citizens don’t require a visa for a visit under 30 days. 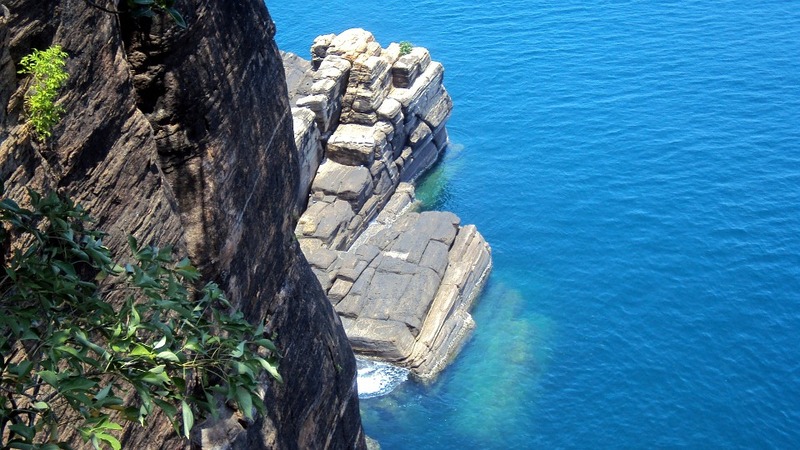 Find out more about how to easily get your Electronic Travel Authority for Sri Lanka. Book your flight to Colombo. 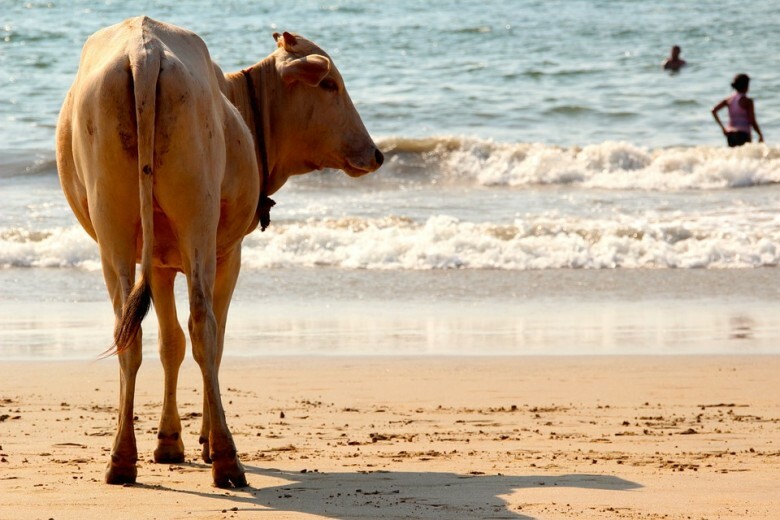 This tropical gem has sun-seeking cows on the beaches, golden sand and many visitors practising beach yoga. Good to know: Goa is the richest and smallest state in India. Expenses: Budget about R500 for a nice double room and admission to museum sites as well as meals in a reasonable restaurant and basic public transport. Book your ticket to Goa. This incredible island is made up of three countries, the Philippines, Malaysia and Brunei. It is home to the comical looking Probosci’s monkey, hot springs, soaring mountains and orangutan rehabilitation centres as well as amazing scuba diving! 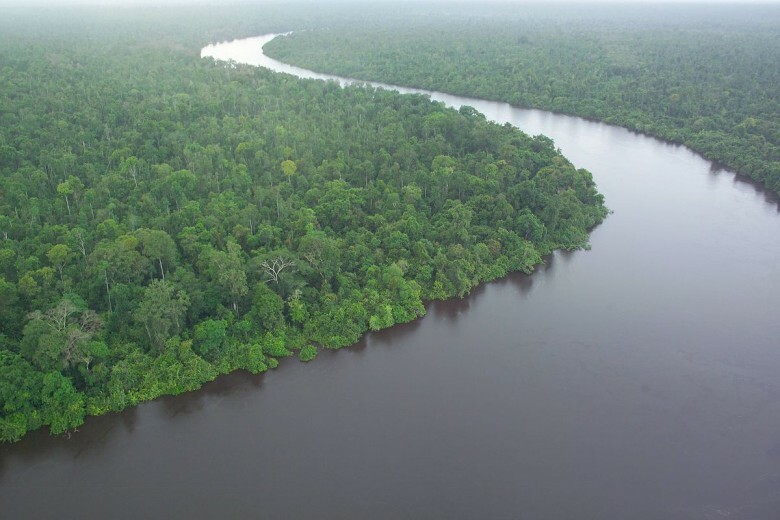 The Borneo rainforest is 140 million years old, making it one of the oldest rainforests in the world. The biggest cave chamber in the world is the Sarawak Chamber in Gunung Mulu National Park which to give an idea of scale can accommodate a Boeing 747-200. Cost of Living: eating out is considerably cheaper in Malaysian Borneo than it is in South Africa as is transportation. Expenses: Budget about R470 per day for a dorm bed, street food meals and admission to National Parks. Visa: South African passport holders can enter the Malaysian part of Borneo without a visa for a visit of up to 90 days. You will need an onward plane ticket, sufficient funds for your stay and possibly a yellow fever vaccination certificate depending on whether you have travelled through an infected area 6 days prior to your arrival. Book your flight to Kota Kinabalu, and discover the beauty of Borneo. 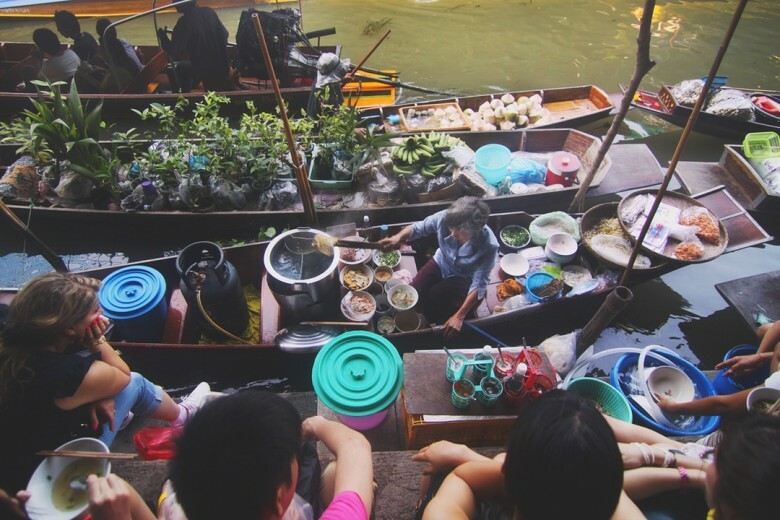 The Malaysian peninsula connects to the southern tip of Thailand and there is a fun and affordable overnight train ride to Bangkok from Butterworth, Penang. 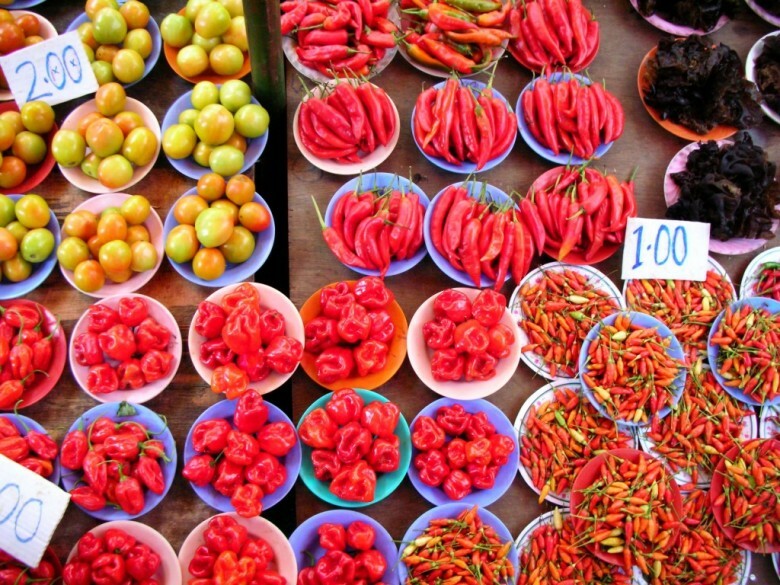 When visiting Penang one simply must try all the delicious and often unique Malay dishes and visit all the markets in George Town. Good to know: Nasi Kandar is a favourite dish in Malaysia consisting of steamed rice and a variety of curries. The best can be found on Penang. Visa: South African passport holders can enter the Malaysian part of Borneo without a visa for a visit of up to 90 days. Book your flight to Penang, Malaysia today! This is a cool site. I should plan my visit soon. Never realised that durban has so many to offer. Kinda embarrassed though coz am like 30 minutes away. must visit all these places before the end of the year. I love Durban. Why is Malaysia on the list? The ringgit is much stronger than the rand. You are right… the Ringgit is much stronger than the Rand but you will notice the “Countries with a slightly stronger currency but cheaper living costs:” heading above Borneo. Although the Ringgit is stronger, it is still quite cheap to visit Malaysia. Thanks for the input. Yes that is correct. Even though you can get more Ringgit for our Rand the standard of living and purchasing things is cheaper there. Sigh… these are great but your Rands won’t get you a half decent hotel (three/four/five star). Sometimes you want more than a backpackers or motel. Am planning to go to Bali this SA winter. Any suggestions on reasonable seaside Accomodation and a must do list for tourists would be of great help. We have a group of Travel Experts who would love to assist with a quote on accommodation. You welcome to contact Travelbar by calling 021 468 4300 (Monday – Friday) or by sending an email to travelbar@travelstart.com with all details and what exactly you are looking for. 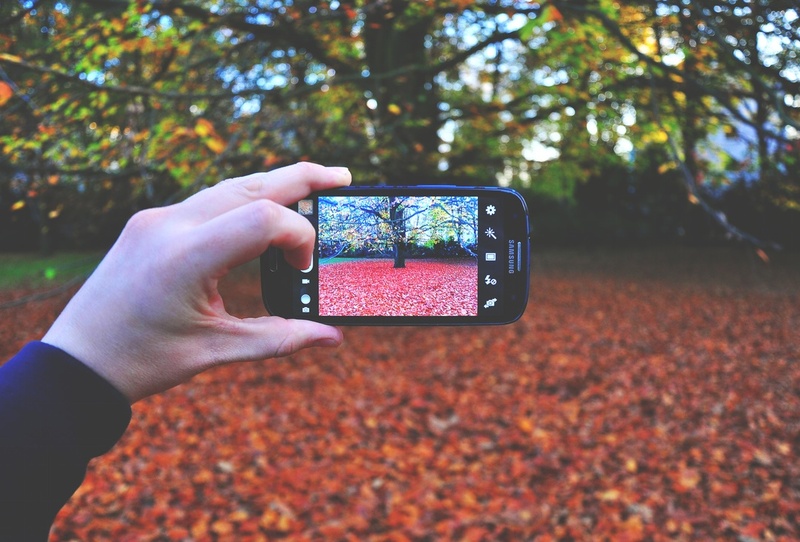 An agent will revert back with a quote within 2 working days. Besides Borneo on the list the title should be “Destinations in Asia”. There’s alot more pies to dip our hands in-Budapest, Hungary on the European side of things. What about African countries too? Are you sure about the Vietnamese visa on arrival? We’re going there in 10 days time, and I’ve had so much conflicting info. I finally contacted the embassy in Pretoria and they told me that I have to get a visa through them prior to arrival. It only takes 2 days, so we’re going that route just to be safe. Our content writer has corrected this information yesterday to let South African passport holder know they need a visa for Vietnam. SA passport holders require visas and applications should be made well in advance of any planned visit. Applications to be filled out online (www.vietnam.co.za) with immediate effect. Clients are advised to print out application form on completion and take it with them to the Embassy. For the most up to date information we always suggest contacting the Embassy. South Africans no longer require visas to Indonesia. That is correct. South African passport holders can now obtain free tourist visas on arrival at the following ports of entry. Airport; Bali; Kuala Namu; Medan; Juanda Airport; Surabaya and Hang Nadim Airport; Batam. Our content writer has updated the blog from her side.